A car show close to the home of a major manufacturer is always going to attract strong support for the home team, showing local and regional pride, and this is always clear at the Wallingford Car Rally. Wallingford is a market town in south central England. Apart from being a crossing point on the Thames and having a history as a fortified town back to the 9th Century and King Alfred, it is like many others. The difference is that few others are just twelve miles from the Morris Motors factory at Cowley in Oxford and just ten miles from the MG factory in Abingdon. So, you can probably guess which cars were prominent at the recent event. Here are some of them, as well some which may surprise, but they all came from Cowley or Abingdon. Cowley is on the eastern edge of the city of Oxford; indeed, the bypass bisected the site until the redevelopment started twenty years ago. William Morris started car production in Oxford, at Cowley, just 101 years ago, and a measure of his impact is in the growth from 3% to 28% of the population employed in the engineering and motor industry between 1911 and 1971. Even now, BMW still employ around 3000 people, producing 300,000 MINIs annually, and Cowley (or BMW Plant Oxford as we are asked to call it) is the only currently active car manufacturing site in the UK which was building cars before 1939. The photo above is from 1972, looking North, after the investment for the Morris Marina had been completed. In the 1990s, Rover Group extensively redeveloped the site, such that the only part now left is to the northeast of the roundabout visible in the centre. To the south is a supermarket and retail park; to the west, a business park. 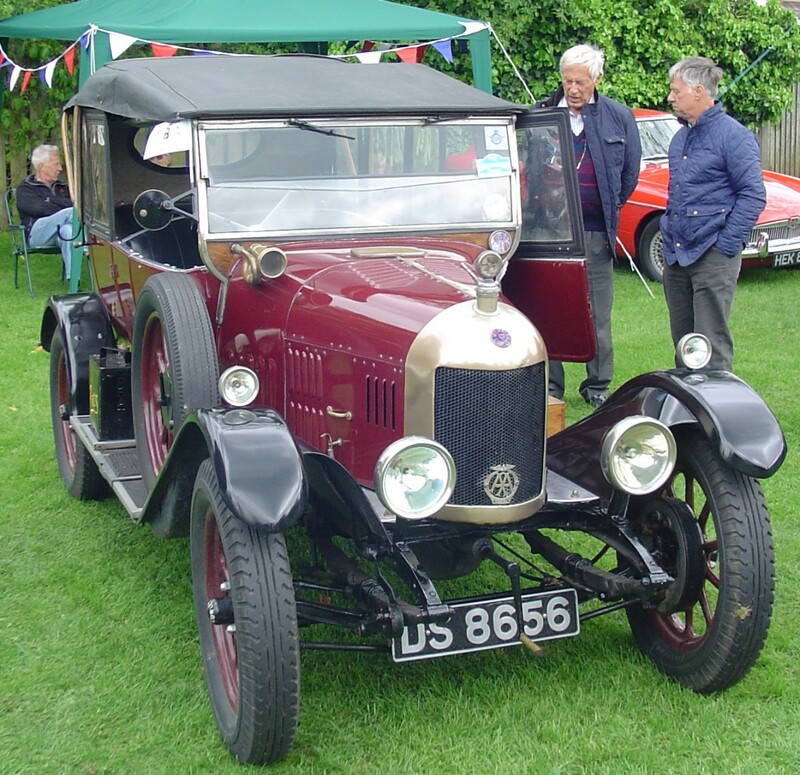 In 1925, this Morris Cowley (known as the Bullnose for obvious reasons) came off the line in Cowley. This was during the period of Morris’s rapid growth, from 380 cars in 1919 to more than 60000 by the end of the 1920s, and undisputed leadership of the British market. The 1926 car is similar, and apparently the owner has a van body that can be swapped out in twenty minutes (takes practice, the correct tools and a couple of assistants, I suspect). Also, it has had a starring role in Downton Abbey! The 1936 Morris Ten alongside is a credit to its owner, especially considering the condition it was sold in, and represents very well the state of the British motor industry art at the prior to the last war. It was fitted with a 1.3 litre side valve engine, though later cars had a OHV version of this engine. 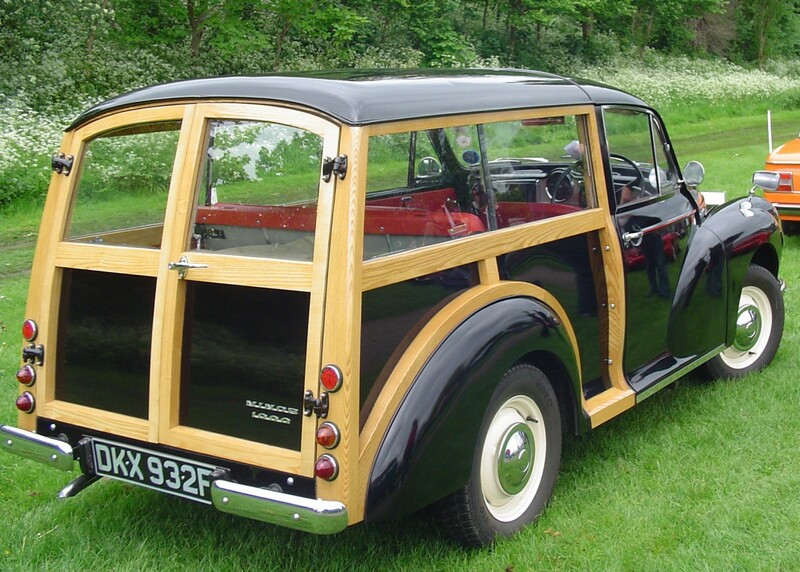 This was the last Morris to feature a traditional chassis, being replaced in 1938 by the Morris Ten M Series, which lasted until 1948. In 1952, the Nuffield Organization (spelt with a Z in the Oxford fashion, rather than an S in the Cambridge fashion) merged with Austin to create BMC. 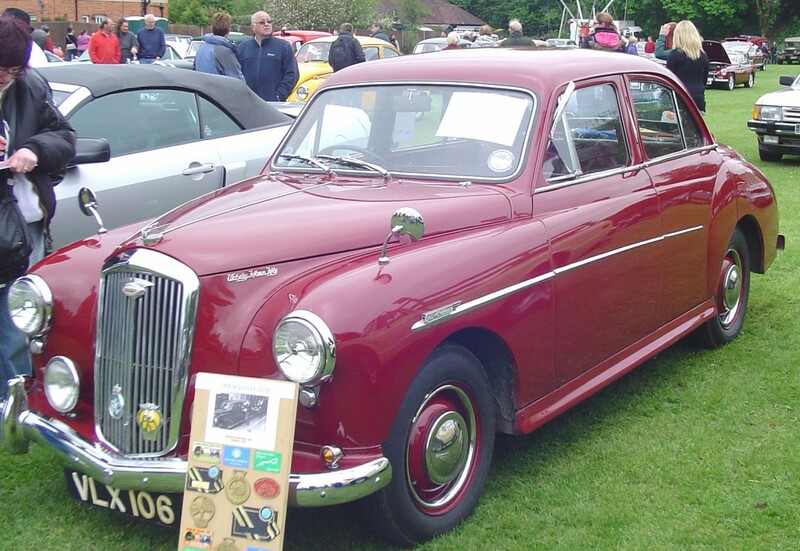 After the merger, the first cars to be launched were the MG Magnette and related Wolseley 4/44, in 1953. In 1956, these cars were updated with the BMC B series engine (which featured in many BMC and BLMC cars into the 1980s) and larger windows, seen on this 1956 Wolseley 15/50. This car has a 1.5 litre OHV B series, good for around 80 mph and 0-60 in 26 seconds. This and the MG Magnette can, with hindsight, be seen as BMC testing the water for the badge engineering bonanza that followed, with five brands sharing the share basic body for the 1958 Farina range. 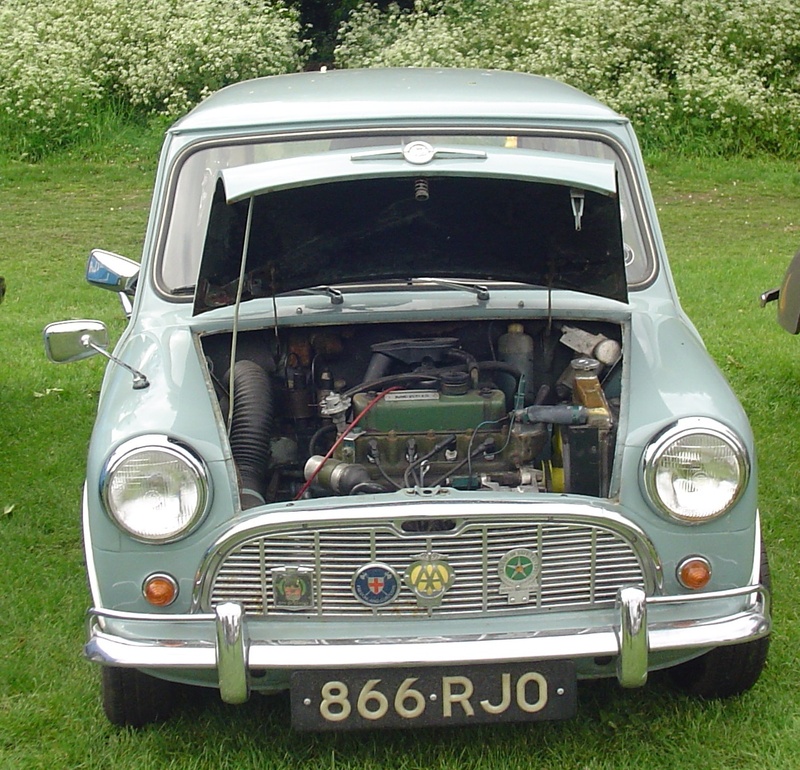 From 1959, Cowley was producing the Mini, and this example is a 1963 Morris Mini-Minor with a 850cc A series engine (another long serving engine, lasting until 1990). As is well known, the Mini received very little attention from BMC, with only the switch from rubber to hydrolastic suspension in 1964, and back again in 1971, being the most notable engineering (as opposed to marketing) change for many years. 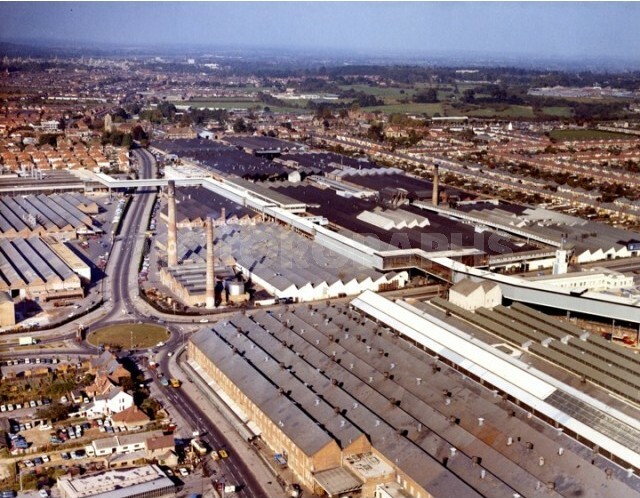 By 1971 also, production of the Mini was centred on Longbridge in Birmingham, previously the home of Austin. In 1961, BMC offered the upmarket Mini derivatives the Riley Elf and Wolseley Hornet, featuring traditional radiator grilles, wood veneer dashboards, leather seat trim and an elongated rear boot with vestigial fins, with a style resemblance to the larger ADO16 and much larger Farina saloons. 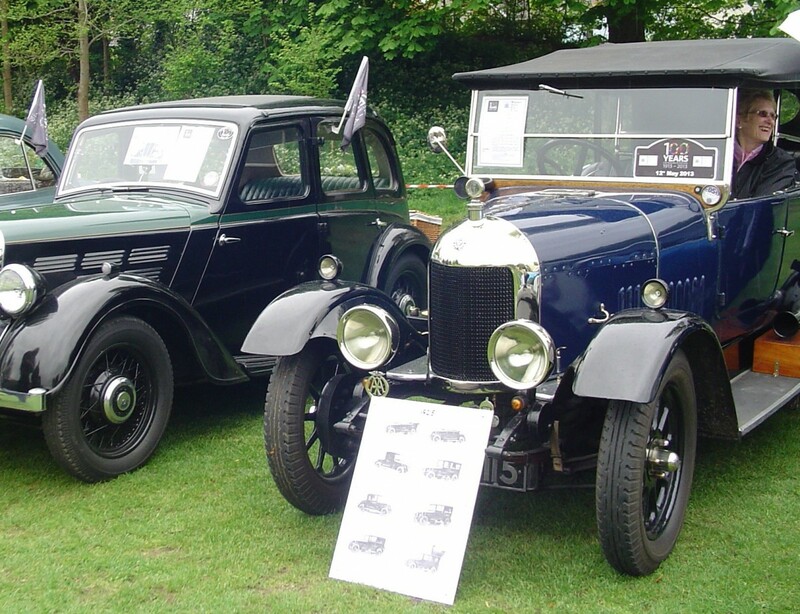 These cars were not built at Cowley but at Abingdon, with body pressings from BMC’s Fisher and Ludlow plant in Birmingham (now Jaguar’s Castle Bromwich assembly plant) and not Pressed Steel at Cowley. Of course, and quite rightly, no British car show is complete without some Morris Minors, and as Wallingford is only twelve miles from Cowley, truly the home of every Minor, Britain’s favourite classic car was well represented. 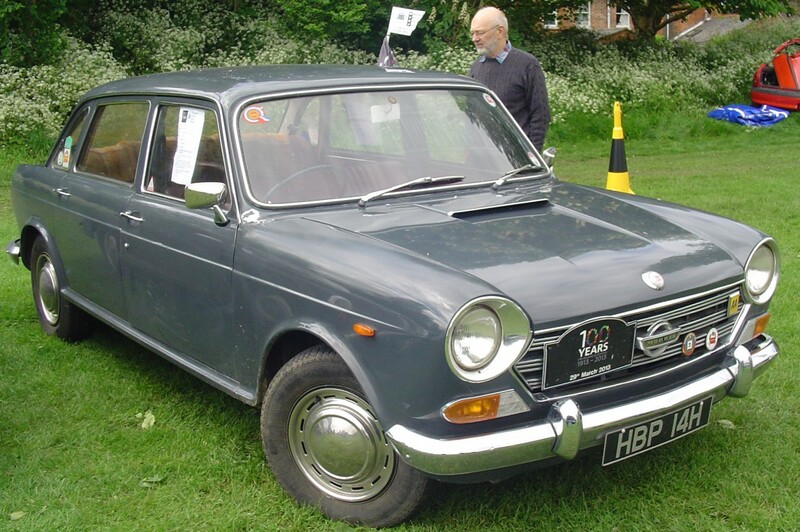 Cars on show ranged from the regular 2 door saloon, in this case in 1965 Minor 1100 form, to one of the last Minor Tourers, from 1970. 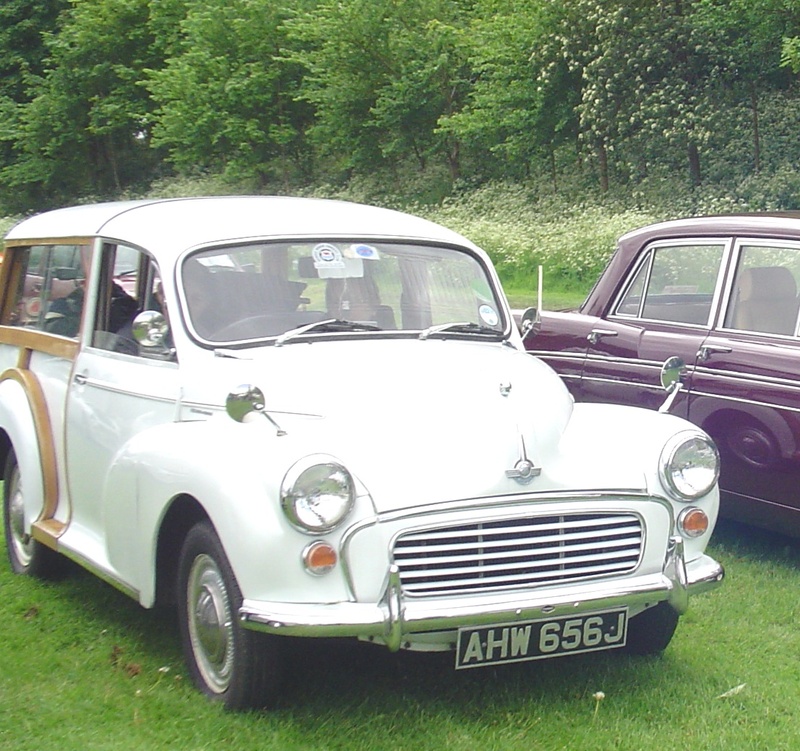 Car of the show was taken by the black 1968 Minor Traveller, and a special mention goes to the 1971 Traveller, truly one of the last Minors, seen here next to one of the last Morris Oxford (Farina) saloons. Larger cars from this period were also in evidence. 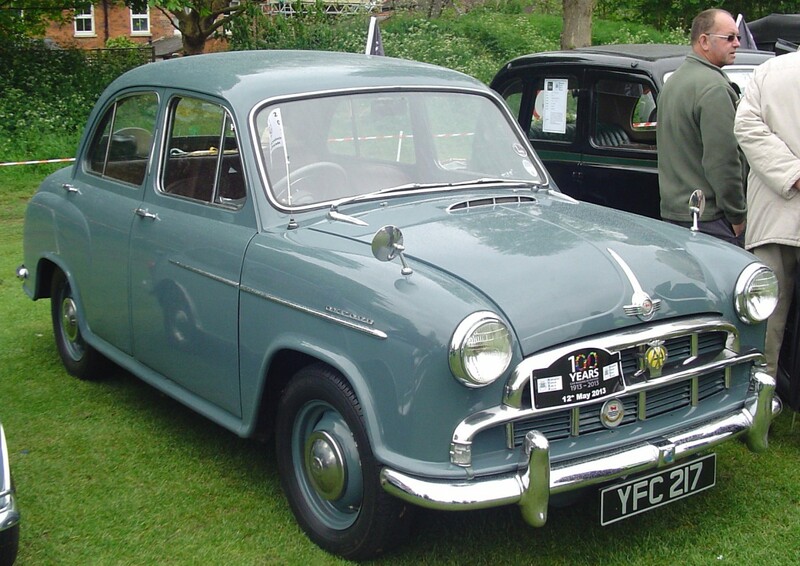 This Morris Oxford saloon dates from 1955 and is actually an Issigonis design, albeit whilst he was still constrained by the Morris attitude and not being free rein by the post merger management (or lack thereof). This is the car that is still produced in India, as the Hindustan Ambassador. 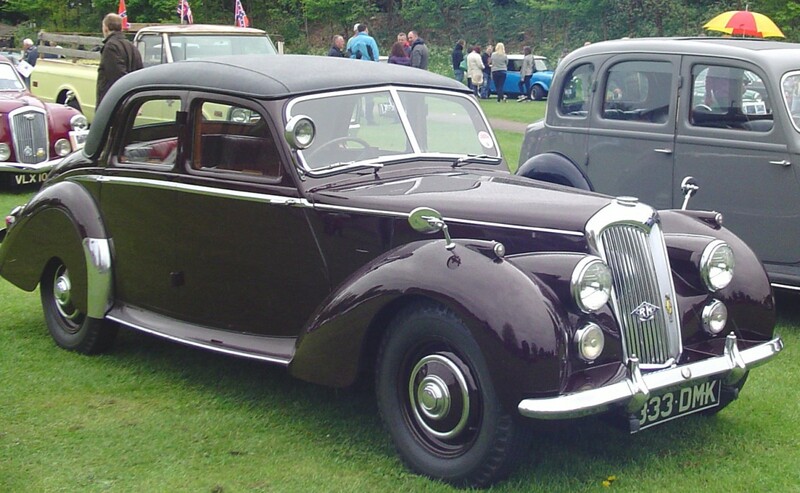 The Riley company, then based in Coventry, was purchased by Nuffield from its receivers in 1938, and moved to a more volume, less high quality business. After the war, Riley’s factory in Coventry was used by the Morris Engines branch of Nuffield and car production moved to MG at Abingdon. This 1955 Riley 1.5 litre, a range produced at Abingdon from 1948 to 1955, was the last Riley produced in anything like the style of the pre-war cars, and was superseded by badge-engineered BMC products. 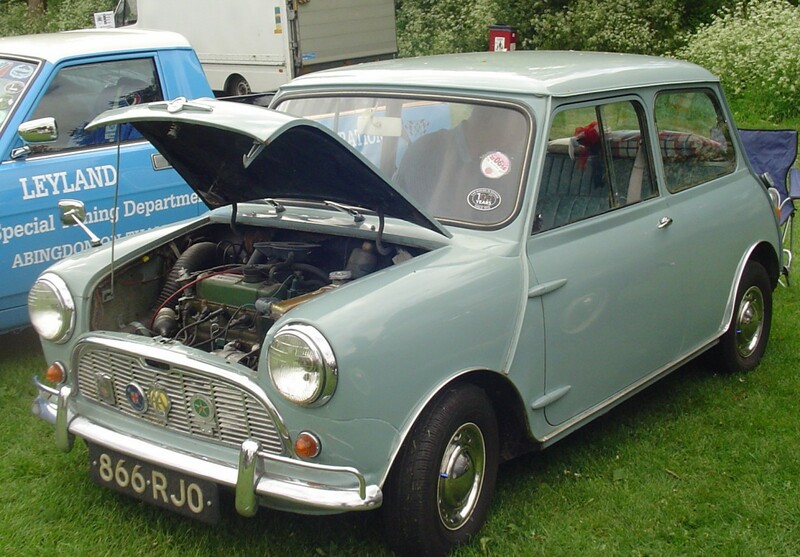 By the 1960s, Cowley was focussed on the Mini, the Farina saloons and the larger Issigonis cars. There were no Austin Maxis at the show, but this 1968 Morris 1800 Mk2 was present, and it’s a fine example of one of the 1960s’ more distinctive products and, also, an example of what happens if creative imaginations are not kept in check by the pragmatic considerations of management. CC has covered the 1800 previously; known (semi-fondly) as the Landcrab, it was Issigonis’ third front-wheel-drive car for BMC and shows all the traits of a successful imagination being allowed too much room. The 1.8 litre engine was only used because it was available (it was developed for the MGB) but led to the car becoming too big for the market and its position in the BMC range; the ergonomics were also appalling and the driving experience, less than wonderful. 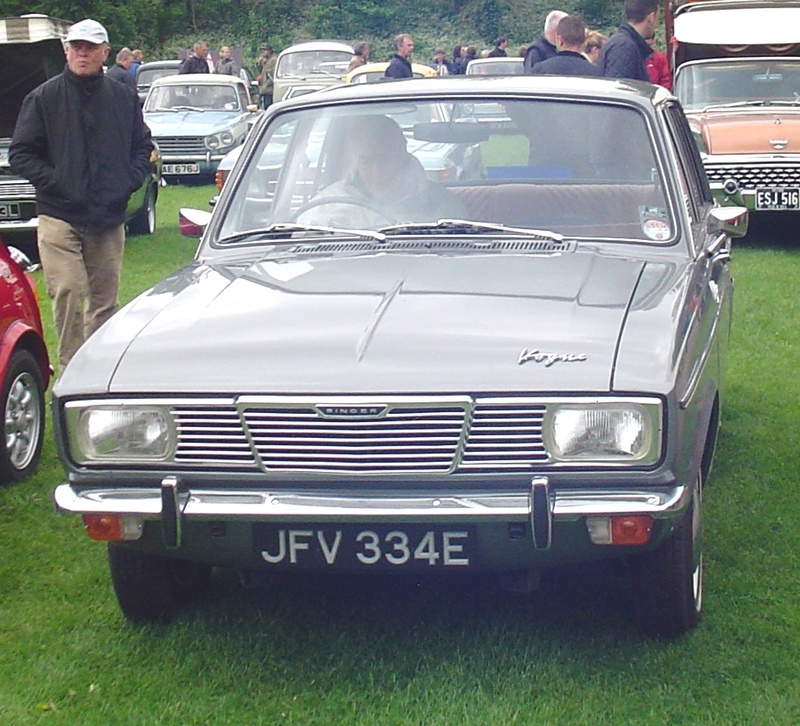 Cowley produced over 300,000 between 1964 and 1975, when it was superseded by the car it is known familiarly, but incorrectly, as the Austin Princess. 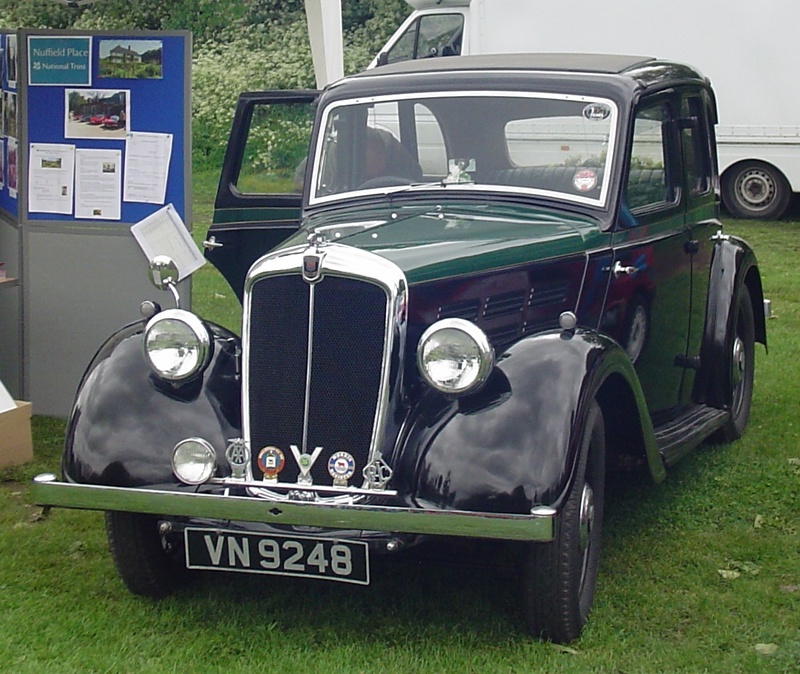 The car was initially marketed as the Morris or Austin 1800 or 2200, or as a luxury Wolseley. 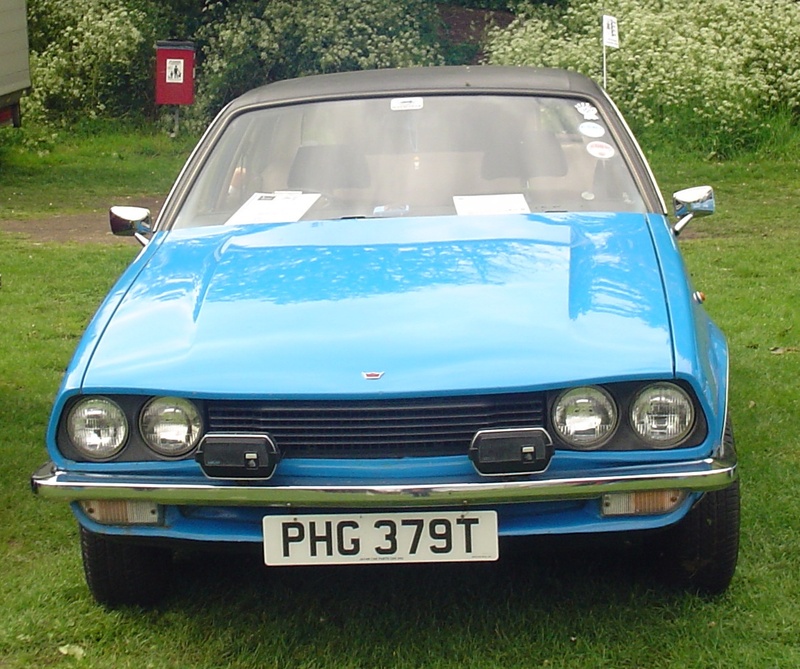 Within months, BL changed tack and marketed it as the Princess 1800 or 2000, effectively as a marque in its own right, like Mini. This is a 1979 Princess 2000, with the later O-series engine. 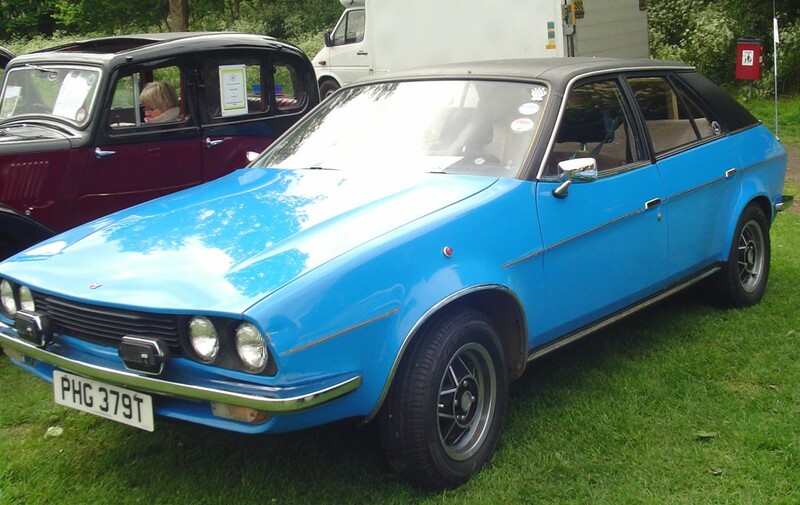 The Princess was arguably BL’s last courageous car, featuring hydragas suspension and a very definite ’70s style. With a colour like this, you’d still take the conservative Cortina? The Morris Marina was BL’s replacement for the Farina saloons and was deliberately a technically conservative but style-driven car, introduced in 1970. 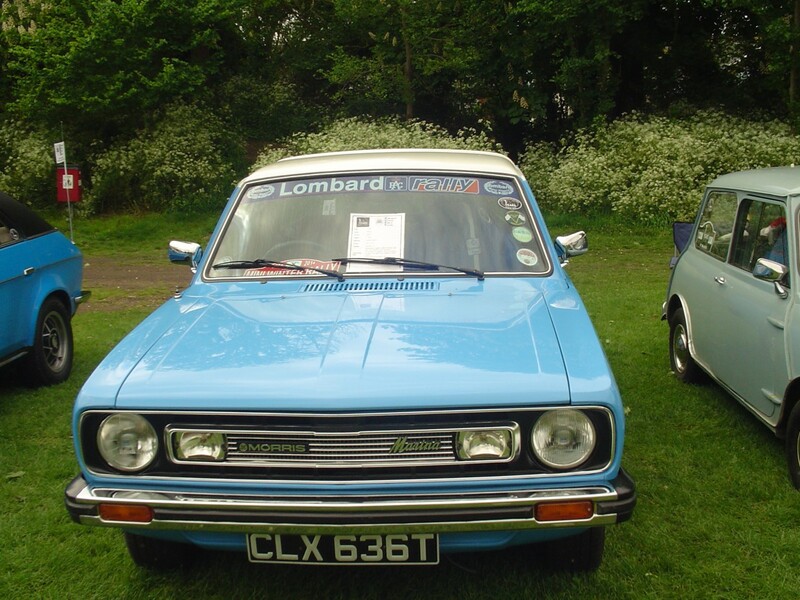 It was aimed at the Ford Cortina, as the Austin Allegro was aimed at the more technically complex cars such as the Renault 12 and Citroen GS. Cowley was gutted to build the Marina (BL were hoping for 5000 a week), including adding the conveyor belt bridge from the pressing plant to the assembly plant you can see in the third picture from the top. This is a 1978 pickup version – the same as the sedan from the B-post forward and fitted with a 1.7 litre O series engine, also seen in the Princess. The Marina was arguably the low point of BL’s products, and had more Morris Minor in it than perhaps would have been ideal. A full CC is coming soon. This example has been presented as a replica of the works runabout used by the Special tuning Department in Abingdon, home of MG and BL’s motorsports activities, with a memory of previous owners on the tailboard. The Marina died a lingering death in 1983 and was replaced on the lines at Cowley by the Austin Maestro and in 1984 the Austin Montego. The Maestro was a complete Golf clone 5 door hatchback, down to its torsion beam rear suspension, and even used a VW gearbox in some versions, and was one of those cars conceived by a rational decision-making process only to later be denounced for reasons of image and reputation. The MG version was initially powered by a 1.6 litre engine fitted with twin Weber carburettors and later moved to a 2.0 litre fuel injected O-series. 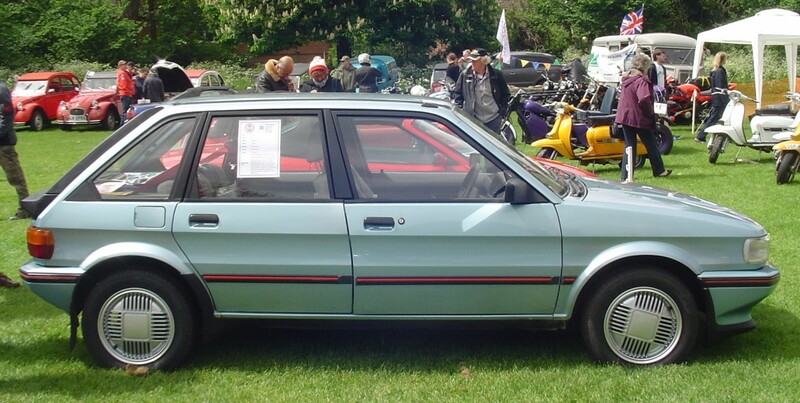 This is a 1984 1.6 litre with the twin Webers and a typical early 1980s MG saloon red and grey interior, and features one of the first talking digital dashboards. A much better car than its image and reputation suggested, reliability was always a lurking concern. 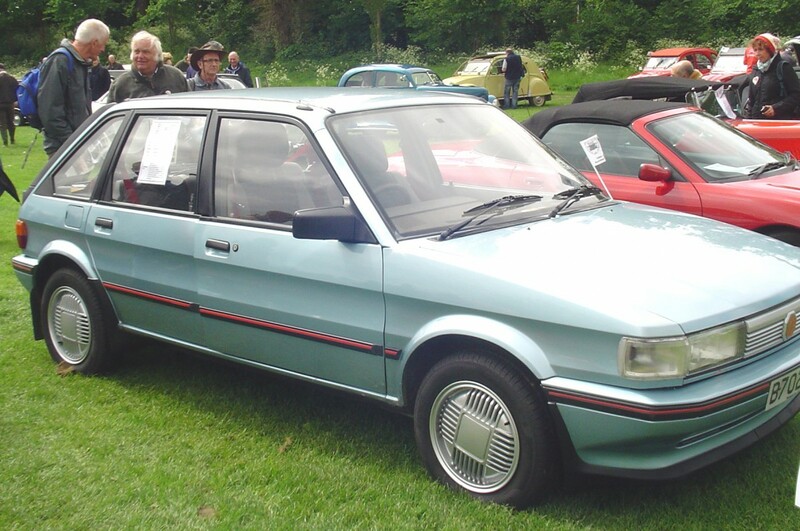 The Montego was a longer wheelbase saloon version of the same platform, sharing doors and much of the engineering. A different nose, courtesy of Roy Axe, gave it a much more modern appeal, as did a much better interior. 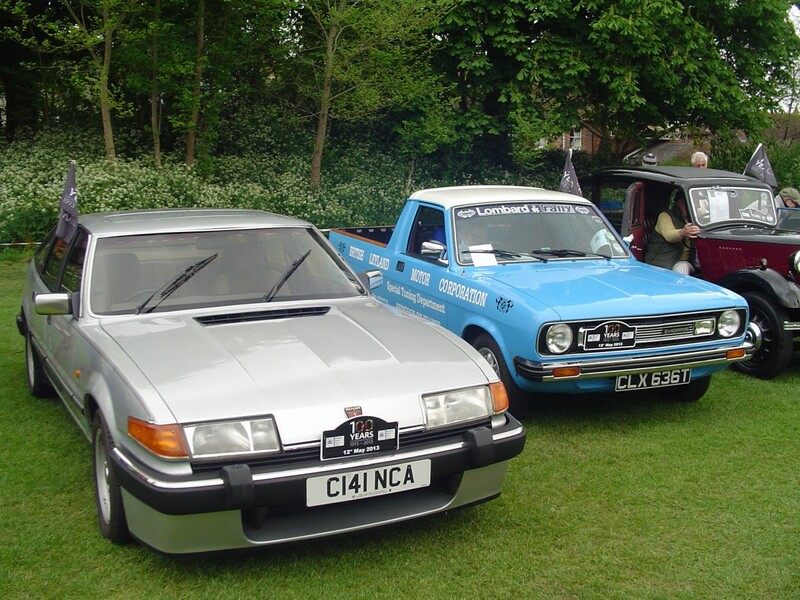 It was aimed directly at the 1980 Ford Cortina and 1977 Vauxhall Cavalier, and arrived on the market in 1984, two years after the Sierra was launched and three years after the Mk 2 Cavalier (J car) took the market sector by storm. So, seventy years after William Morris had started, Cowley was building Austins, and Rovers. The Rover SD1 (2000/2300/2600/3500) series moved from Rover’s traditional home in Solihull to Cowley in 1982. This is a 1986 Rover 3500, from the last year of production. It still shows some of the great design that was present on the 1976 original, despite the rather heavy-handed 1982 facelift. MG at Abingdon was Nuffield’s, and then BMC’s, centre for sportscars. All MG roadsters were built there until 1980, as were many MG saloons and Riley sports saloons, and also the Austin Healey Six and 3000 roadsters. This is a 1967 Austin Healey 3000 alongside a MG BGT, both stalwarts of the British classic car show. Both are flawed cars, but both still have a strong appeal. And the first of the surprise cars? A 1953 Ford Zephyr convertible. 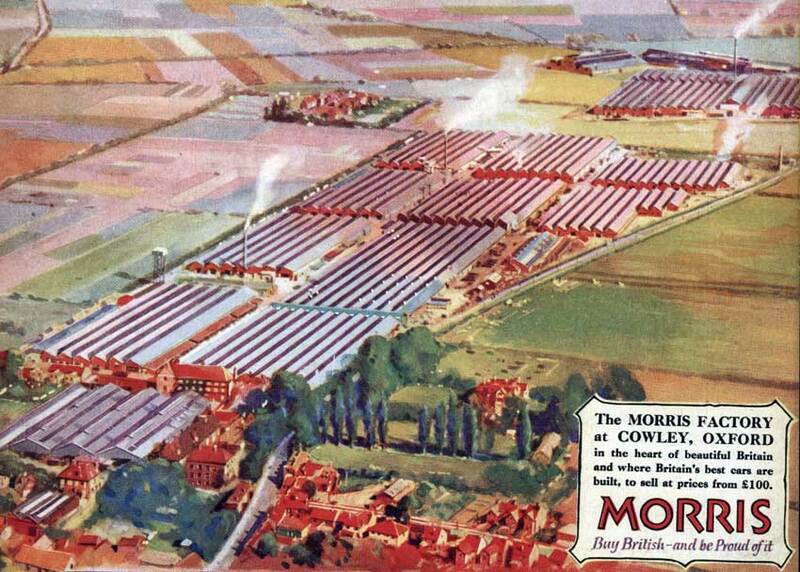 In 1926, Morris, in partnership with the Budd Corporation, established the Pressed Steel Company on land adjacent to the Morris works at Cowley to produce the necessary steel pressings for Morris and for other manufacturers. In 1930, Budd bought out Morris and Pressed Steel went independent, though still supplying Morris. Long term customers included Rootes, Vauxhall and many of the smaller independent manufacturers. 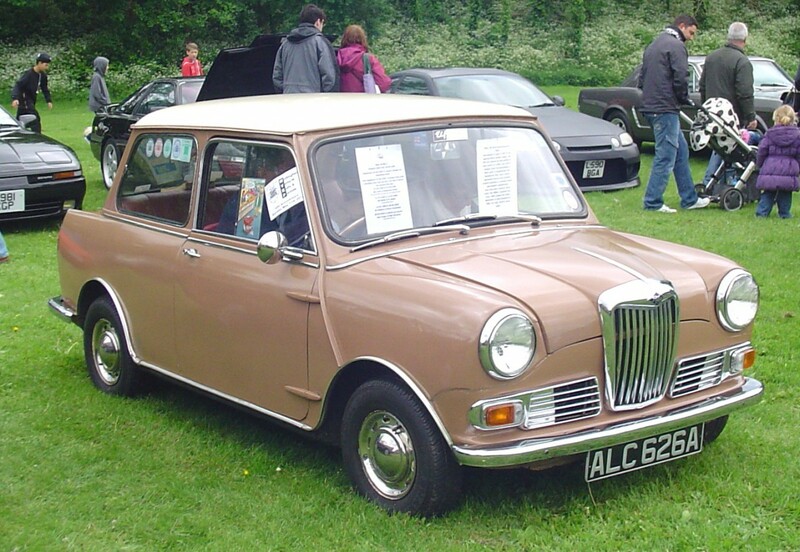 In 1965, Pressed Steel was purchased by BMC, as part of the consolidation of the British motor industry. Until Ford in Britain bought control of Briggs Brothers’ operations at Dagenham in 1953, Ford was one of these customers and this Zephyr convertible was pressed and assembled at Pressed Steel. It was a Ford product in every way, except for the Pressed Steel input. 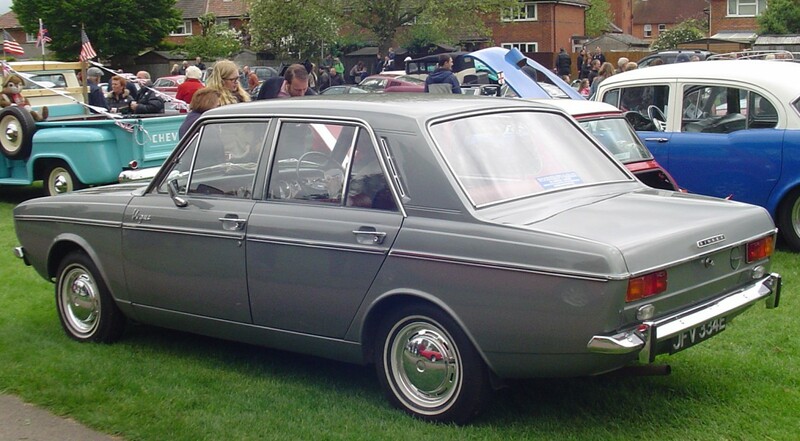 Rootes was another long-term Pressed Steel customer, and the Rootes Arrow range (the Hillman Minx and Hunter, Humber Sceptre and Sunbeam Rapier) was built of Pressed Steel pressings, but assembled in Coventry and later Linwood. 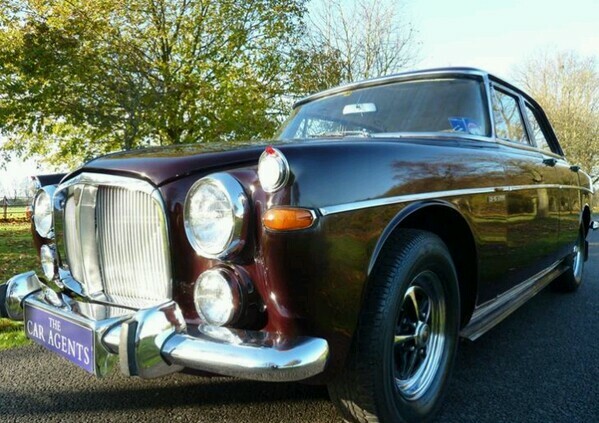 This 1967 Singer Vogue was assembled in Coventry from Cowley pressings, and was the first step up the Roots luxury hierarchy from the Hillman Hunter, with a Rootes 1725 OHV engine, an overdrive transmission, wood veneer trim interior and more chrome. So, Cowley was initially the Morris factory, but also built MG, Riley, Wolseley, Austin, Rover, Triumph and Leyland branded cars, supplied much of the British (and wider European) industry, and now builds more cars than ever for BMW. Ironically, the BMW factory is actually the Pressed Steel site, not the Morris Motors site. “In The Shadow of Cowley, On The Way To Abingdon” — how very Dickensian! I love it. Thanks- I liketo use a memorable tagline! I still think the SD1 is one of most attractive cars to come out of the UK. Thanks for another great read Roger.That Zephyr is a very attractive car,another car from my past as little sister had a Wolsley Hornet til the girderworm saw it off(being the only one of us to not reach 6′ or more it was no good to my parents,brother or me).Despite the best efforts of Dad,brother and her boyfriend it went to the scrapyard at 9 years old in 1977. I remember making a model of the bull nose Morris Cowley though I can’t remember what scale it was.The Wolsley 4/44 was in a British police TV show when I was a kidin the 60s but i can’t remember the name of it.Police cars had bells on then,no sirens. 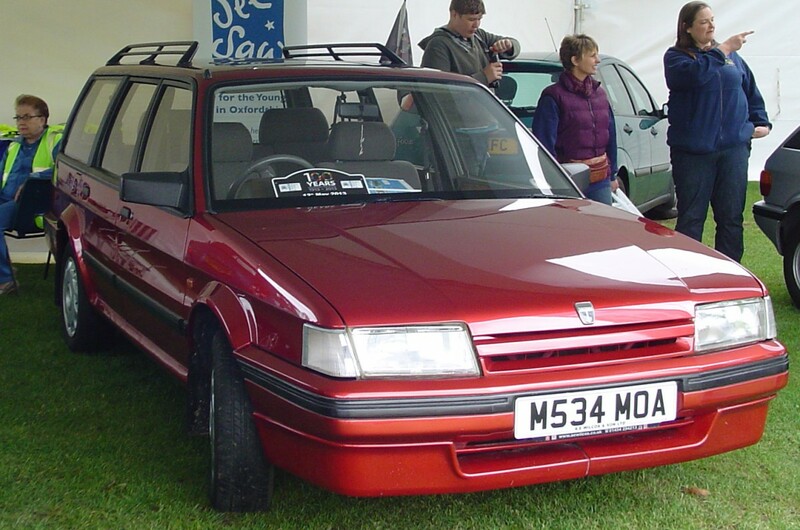 I had a horrid Montego hire car in the early 90s.The electric window stuck open making for a draughty 200 mile drive from Manchester to London. My neighbour bought a talking MG Maestro proof never to buy a Mk1 anything as it had many problems and was traded in for a BMW 316 as soon as it was working again. Thanks – gald you enjoyed it. I drove several Maestros for work in the late 1980s and the worst part of the car was its image. It was certainly spacious and comforable, but always felt a bit unfinished. Thanks for the wonderful write up and great photos; love the history. My 3a Minx was stamped out in kit form by Pressed Steel there is a plate under the back seat testifying to it assembled in NZ though it actually began as a series 3 and the chassis has been restamped for the new model(very early build and it shows). I quite like the old Oxford I had an Isis that model a total rust bucket and really beyond salvage it had towed and launched a boat for many years but quite a rare car today very very few survive. My dad couldn’t afford the Isis so bought an Oxford like that, just a darker blue. The exhaust manifold cracked a week after he bought it, and being a new model there were no parts available – and he had to drive this shiny new Morris making a terrible racket for a month before the part came in. I remember washing it as a kid, and the rust that appeared, and the leather seats that split, and…. He always reckoned it was never as good as his previous model Oxford. He never took to that ‘Austin’ engine. He got rid of this one in ’62. It was his last Morris. From memory I think I paid $200 for my Isis it was rusted right out I stuck a thick carpet in it to stop thing falling on the road it drove ok had a single SU straight thru exhaust no overdrive just a 4 speed, I bought an engineless A90 Westminster and swapped in the Isis motor much better car. Yes I think I remember reading or hearing that.It was a lot better looking but had the same flaws as the Maestro.BL was always strapped for cash and would warm over old models or rush out new ones with not enough time or money spent on development.Margaret Thatcher was PM when these cars came out and after many years of government financial aid they were now without any more money.Strikes,poor build quality and hastily developed cars often little more than a tarted up not very good older model and attacks in the right wing press left BL on death row with no reprieve. Longer wheelbase, but the same doors with a infill/wide wheelarch ahead of the rear wheel and the awkward C/D pillar treatment. Great feature, really well written. Lovely choice of photos, some great cars there. 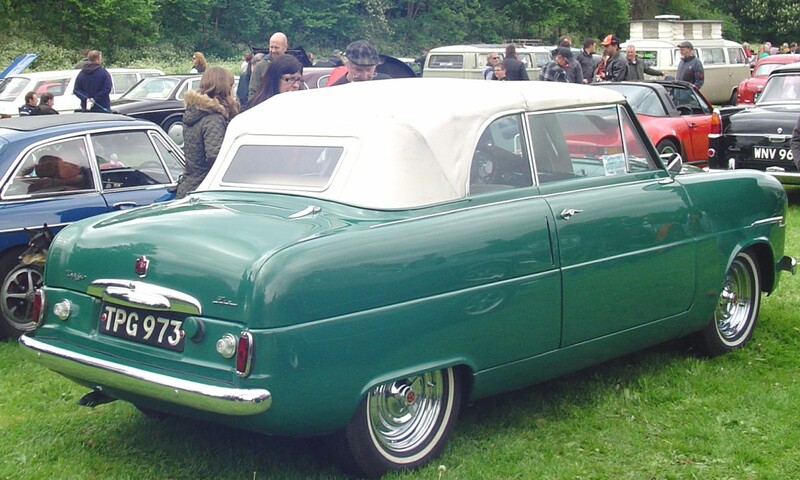 Small nit to pick: the Zephyr’s first appearance was at the Earls Court Motor Show in October 1950, and Carbodies didn’t begin production of the convertible Zephyr until 1953 – so it can’t be a ’48. Always loved those cars, and I probably know too much about them! Nice tour through history Roger, strange to see the Marina ute – I’m not sure if they sold them out here, I’ve certainly never seen one and Marinas of any form are rare enough. Two survive here in Napier one was for sale recently 5k never saw one in OZ. Wow, there was a Marina pickup? There’s something I didn’t know… and this one looks incredible in the factory works livery with Panasports. Honestly, I love all of these. I always feel kinda guilty admitting it, but I’m a sucker for anything BMC – literally anything; and yeah, I’d even rather have that lovely blue Princess. Someone in my town had a white and blue Riley Elf about 10 years ago and I think that’s what planted the seed. Actually it might’ve been a Hornet, which I wasn’t aware of back then, but I thought it was just about the coolest thing I’d ever seen. I watched those Morris “Bullnoses” in a YouTube hillclimb video awhile back, but I didn’t know what they were. We don’t really have those type of events over here and I think it’s awesome that so many people who own antiques in the U.K. are willing to drive them that hard – just like how they were used when new. Early automobiles don’t entirely make sense until you see them driving in the kind of conditions that existed before paved roads were commonplace. 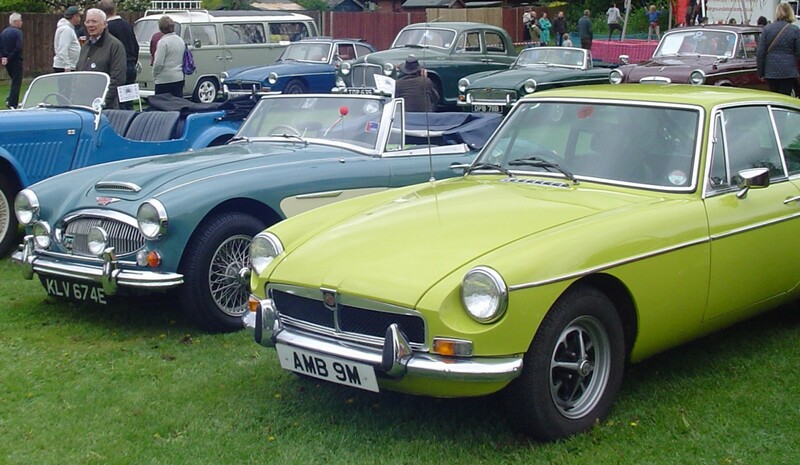 This might sound crazy, but I grew up thinking that Austin, MG and Rover all died in the 70s! 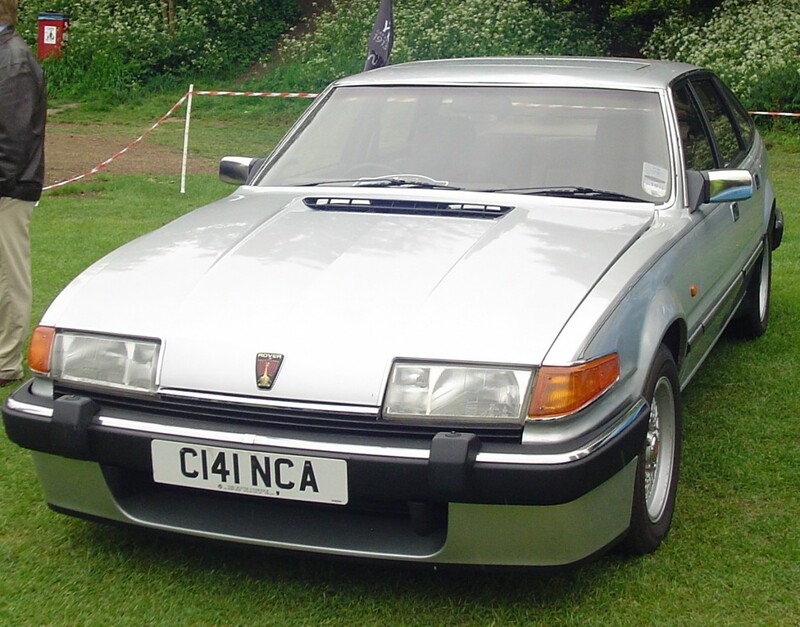 Aside from Jaguars and a handful of exotics, the last British car we got here was the Sterling 825/827 (a Rover 800 cousin), so this was/is probably a fairly common misconception amongst Americans. When I first started discovering all the post-BL cars on the internet many years ago, it was like looking into an alternate dimension. Is “MG” still making cars or has the marquee finally passed on? Last I heard it had been sold to the Chinese and they were still building a handful of MGFs in England, but that was several years ago now. I also thought the Rover/MG sedans from the ’00s were very cool, it’s a shame they didn’t last. One of my delivery clients had a MG something turbo he loves it never had any issues the whole time hes had it, so some good ones were built. The Chinese are trying to relaunch the MG brand in England, with some small and medium hatches and sedans, but from what I’ve read the cars are pretty ordinary. They’re pretty thin on the ground I’ve yet to see one in the metal. Buy an MG Maestro/Montego Turbo and there’s a good chance you’ll be burning more shoe leather than rubber.When they were fully sorted they were a fast car.I have an unhealthy interest in the Triumph Stag,2500 PI and Dolomite Sprint which should have been winners but never quite made it.The Triumph GT6 is one of the prettiest cars ever made and will be in my lottery winning garage. Despite Bryce’s warnings the Australian Leyland Marina 6 cylinder interests me as does the P76 though I’d sooner have an Aussie car from the opposition. Take it from me too, Gem, you DON’T want a Marina 6, even if you could find one. They were a rare sight even when new, and for good reason. Think of the suspension on the Marina you know, and add about 30% more power (2.6 litres remember, not the 2.2 you’re used to). Just because you can make it fit doesn’t mean it should be there! Were Australian Marinas any better built than British ones?My ex BIL had one that was seriously rusty at 4 years old and beyond economical repair at 5.The rust was terminal. My memory of the Maestro was spoiled by a co-worker when two arrived and I was given one. He took an instant dislike to the car, and I had to put up with his endless complaining on a daily basis. For example, he whined about how noisy the car was (I thought it was average for the time), until I told him to shut up or take me out as a passenger with sound measuring kit – when we came back, I had to agree, his car was very noisy… but then had to point out that he never changed out of third gear until he reached 50 mph, and drove in that gear all the time. He was always having ‘problems’ but apart from one issue with mine, my identical car never missed a beat. My problem was a random flat or low battery – took ages to diagnose the cause, which turned out to be a bad crimp on the main earthing strap. Only found it when I grabbed the lead one day, and it just pulled out of the big crimp terminal, but it had looked fine visually. The car was much bigger than the Golf referred to above, and would swallow passengers and loads. It was really quite wide, and I lost three passenger door mirrors over the years because I never quite appreciated just how wide it was once the mirror was added. Good training for my later cars, which (with mirrors) are apparently wider than an XJ6! I love summer in England…everyone in sweaters and jackets, overcast, everything brilliantly green. Vauxhall has been making cars in Luton since 1905, and still makes trucks there. Or do you mean the same ACTUAL factory that has existed since before 1939? I know the Vauxhall plant is newer than that, but continuous manufacturing has gone on there since 1905. While looking this up I was surprised to learn that Ford no longer makes ANY cars in old Blighty, just R&D, engines and transmissions, the last UK made Ford was a Transit van which rolled of the end of the Southampton line in 2013, ending 100 years of Ford production in the UK. My sisters Holden Vectra was a rebadged Vauxhall built in Elsemere, Holden on the grille on the radiator shut panel Vauxhall motors and anothe plate with Opel AG it certainly got around. Would Morgan have moved to a new factory after WW2? Off-topic, I know, but I love the way postcards of old factories always showed smoke coming out the stacks-a sign of industry and progress; a very good thing. Now it means unregulated air pollution, and is likely to start an argument about the existence of man-made global climate change. Sigh. There was a great smog in London in 1952 and another one 10 years later which I remember that eventually covered the whole country.Today there’s probably not enough factories left to cause smog! Some nice cars, and a nice history lesson for us Yanks. Thanks Roger! 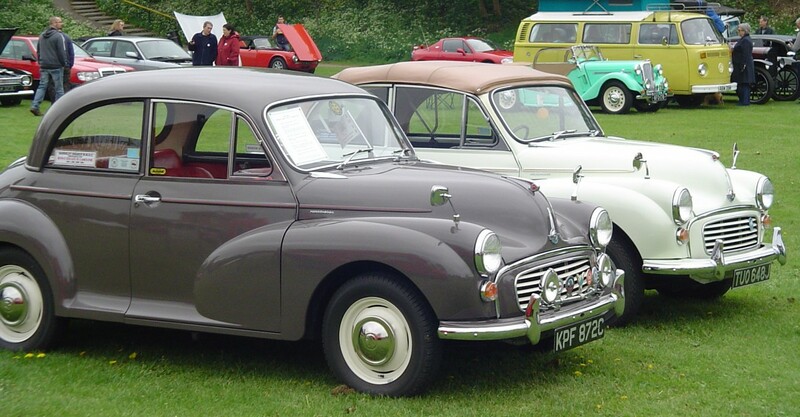 After I wrote-off my first Mini in about 1970, and whilst I was rebuilding it, I bought a 1955 Morris Oxford, exactly like the one above, POW 850, to run about in. It cost me £10 and had a Gold Seal (reconditioned) engine, red leather seats and was built like a tank. Apart from the fact that it was like being in a ship on high seas when negotiating roundabouts, it was an excellent runner, albeit rather thirsty. A VW Beetle ran into the back of it at traffic lights one day – the rear overrider planted itself in the nose of the Beetle leaving a healthy dent in the VW and not a scratch on the Oxford. Sold it for £15.